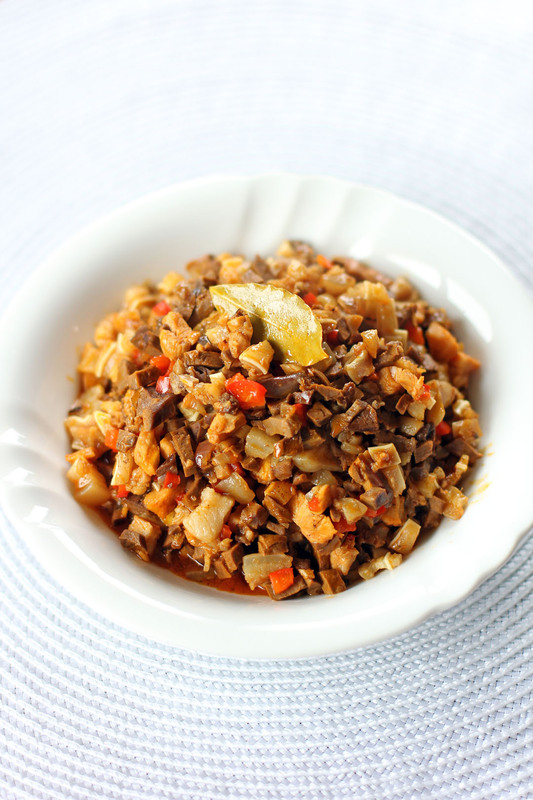 Bopis or Bopiz in Spanish is a hot and spicy Filipino dish with Spanish origin, it consists of pork lungs, heat and fat sautéed in chillies, onions and sometimes tomatoes. 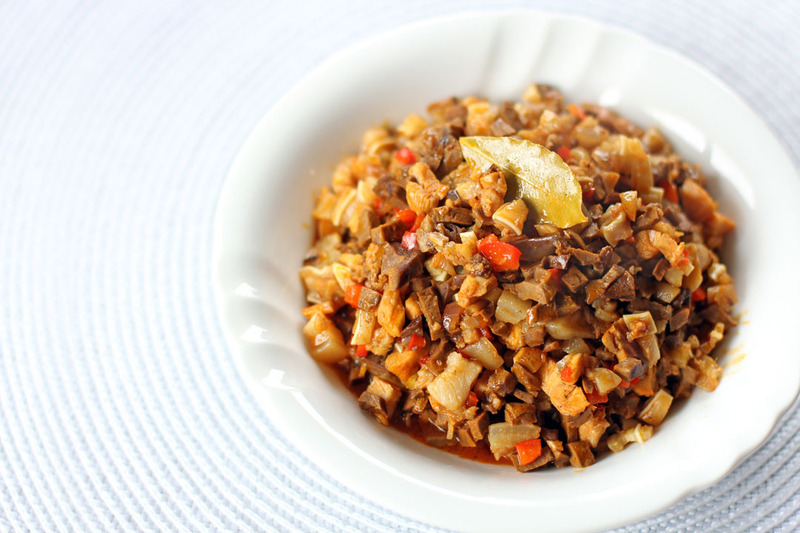 Not just a popular dish but also a very popular pulutan (the Filipino version of Tapas) and can be seen in menus of bars and restaurants offered usually as a beer match. This is one of my favourite dishes when I was I child, I remember I always order it in Goldilocks when we had our weekend meals there, I don’t know why it became my favourite but my guess is that as a child it was a bit interesting knowing that you are eating heart and lungs of a pig, similar to the interest my daughter showed when I asked her to try our fish eyes. I guess it’s the idea of eating something unusual, something adventurous. I highly recommend this if you like sour dishes like sinigang or paksiw, it will definitely be a big hit for you. In a pot, add pork fat, heart and lungs, lemongrass, pandan leaves, 1 cup of vinegar, 1 tbsp salt and enough water to cover the meat. Bring to a boil and cook for 25 - 30 minutes until meat is tender but not fully cooked. Remove meat, let it cool down then dice the meat finely, set aside. In a heavy pan, heat oil and sauté garlic and onions. Add the chopped meat, cayenne pepper and bay leaves, stir fry for 3 minutes. Add capsicums, 1 cup of vinegar and stock, bring to a boil and simmer in high heat until sauce thickens. Add more vinegar if you want it more sour. Add annatto powder mixture then season with fish sauce and lots of freshly ground black pepper. Simmer for 2 minutes then serve. You can make any unusual ingredients sounds tasty! I agree. I don’t think this looks daunting to eat at all. Offal dishes are interesting because they are load in flavor, and this one has a plus, chiles. I love to learn about typical dishes form other countries!!! Brazilian bars have a lot of offal dishes in their menu but in general they are fried and also served either with beer or caipirinha. Where on earth do you find all of these ingredients?! Pork heart, pork lung? I’ve never seen those at the friendly neighborhood markets. What a very interesting dish. I love the seasoning, but I have to be honest – I’m not big on offal. 🙂 I know I need to get over it, but I had some really bad experiences as a kid that I just haven’t been able to overcome. Some day! i guess this is great offal make over dish!